All ingredients used in Neopump’s pre-workout formula are supported by studies from well-known and respected research academies. Each and every single compounds in Neopump is perfectly and safely dosed to offer unmatched performance and results every workout session. 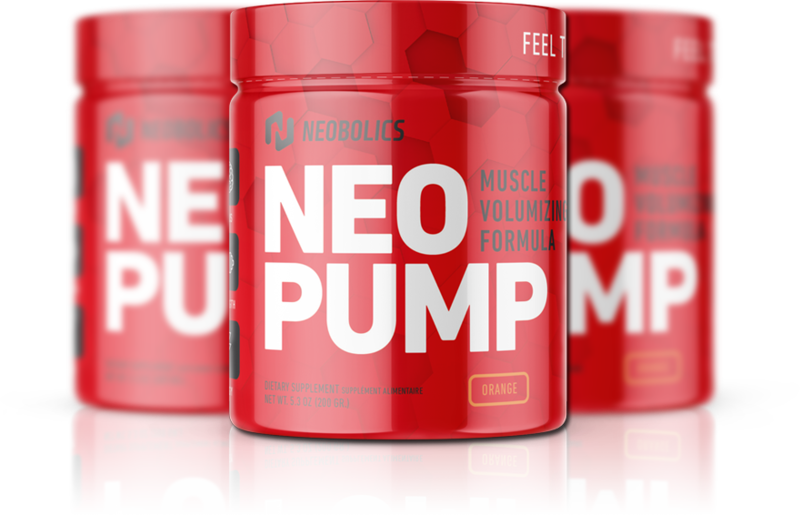 No hidden ingredients, no hidden dosages, you know exactly what dosage and what ingredients we used to formulate Neopump’s pre-workout. Beta-Alanine is one of the non-essential amino acids that once ingested by the body, beta-alanine will be converted in carnosine which is proven to improve endurance, strength and muscle development. Multiple studies over a decade, show that Beta-alanine supplementation has been proven to be very effective to increase overall physical performance. Citrulline is an amino acid that increases arginine in the blood leading to increased nitric oxide (NO) production. Nitric oxide improves blood flow to the muscle producing greater muscle pumps. Citrulline has also be proven to improve recovery intra and post-training by accelerating ammonia clearance within the muscles. L-Norvaline works by inhibiting arginase production, an enzyme which limits the production of nitric oxide (NO) within your body. Nitric oxide is a vasodilator, meaning that it expands the blood vessels and increases the blood flow. L-norvaline supplementation will drastically improve and extend blood flow and muscle pumps. By extending pump length and intensity, L-norvaline provides muscle tissue with massive amounts of oxygen and nutrients, including other amino acids. Agmatine is positively regulating NOS (nitric oxide synthase), the enzyme responsible for the production of nitric oxide. The increase in nitric oxide improves vasodilation, which improves muscle pumps. Muscle pumps not only enhance nutrient delivery to muscle tissue, but also affect protein synthesis rates allowing for a potential increase of muscle growth. Taken orally as a supplement, Glycerol increase hydratation from physical activities and drastically muscle pumps leading to a greater nutrient absorption. When consumed pre-workout Glycerol not only delays dehydration but also increases exercise efficiency, decreases physiological stress, lowers heart rate, and prolongs exercise endurance time. L-Theanine and caffeine combo, also known as smart caffeine increases focus, alertness and also improves cognitive functions. Independently, Caffeine and L-Theanine have somewhat polar effects on the mind and body. However when the two are combined, the effects do not simply negate one another. Instead they work together very synergistically, allowing the athlete to fully benefit from the positive aspects of both compounds without the negative side effects.